Broccoli rabe (also called broccoli raab or rapini) appears on our table very frequently – usually in a very traditional form (steamed with chicken broth, garlic and a few red pepper flakes) – but this week I was looking for a change of pace. This simple, quick recipe certainly filled the bill. These pancakes are light and tasty. The bitter-greens flavor of the broccoli rabe isn't masked at all by this preparation, and the subtle hints of garlic and cheese add depth. With a green salad made from tender new farmers' market lettuce and watercress they made a nice side to a couple of small steaks right off the grill. In terms of a healthy weight- or glucose-control diet, these cakes – in moderation – fit right in, since a reasonable serving of these low-fat pancakes brings only 150 calories and 14 grams of carbohydrates. 2. Mix the salt, baking soda and flour in a bowl. Make a well in the center and add the buttermilk and eggs. Stir to combine. Stir in the oil, hot sauce, cheese and chopped vegetables. Preheat the oven to 150º. 3. Place a griddle or large skillet on medium-high heat. Add one tablespoon vegetable oil and spread it over the cooking surface. When the griddle or skillet is hot, drop in the pancake mixture, a quarter-cup at a time, leaving plenty of space between the pancakes. Cook about 2 minutes, until the edges of the pancake are dry and bubbles in the surface start to pop. Turn and cook for another minute and a half. Keep batches warm in the oven until all the pancakes have been cooked. Serve immediately, accompanied if desired by non-fat plain Greek yogurt or (if your diet can take it) sour cream. 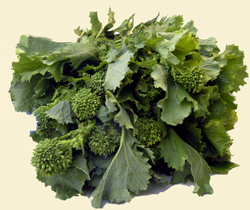 Other greens (spinach, Swiss chard, kale or collards, for example) may be substituted for broccoli rabe if you wish. Nutritional Estimate: 6 Servings (2 pancakes each). Per serving: 150 Calories; 14 g Total Carbs; 0 g Dietary Fiber; 2 g Sugars; 7 g Fat; 74 mg Cholesterol; 155 mg Sodium; 7 g Protein. Weight Watchers: 4 points. Type 2 diabetes is completely controlable by diet. No carb is the way to go. Oil should be coconut oil for all recipes that require heat. NO carbs? My diabetes team has been telling me that I need some carbs for brain function...I've been able to achieve 5.9% A1c on a 100g / day carb intake. And what's the reasoning behind coconut oil? I avoid it because it's 90% saturated fat, and since diabetes is in the end a circulatory disease saturated fat should be avoided. Canola oil is less than 10% saturated fat. I know that every person with diabetes has to find the solution that works for him or her. I also know there's a jumble of conflicting information out there about what to eat, so I'd love to hear more from you about these choices you are making for yourself. This is so my kind of dish. Although have not though of using broccoli. Lovely blog.